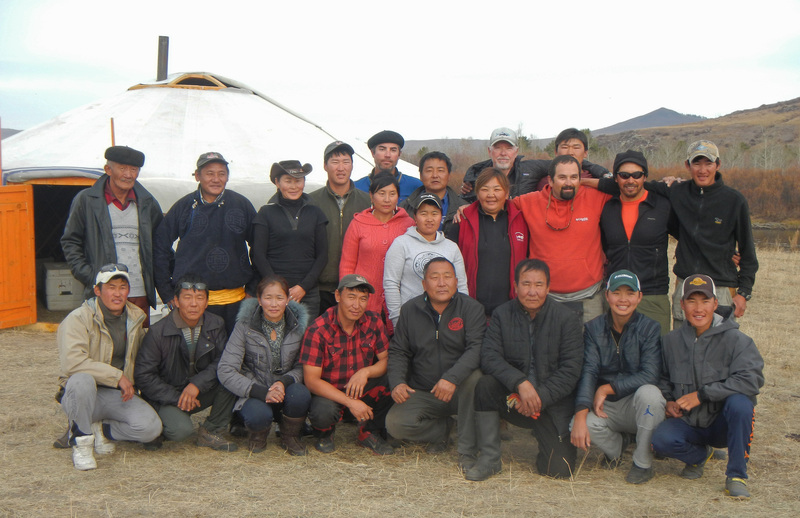 Mongolia Upper Onon Trip Report 2014! It is a part of our seasonal routine at WorldCast. 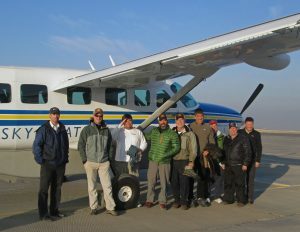 As fall arrives each year, we depart on another trip to the Mongolian Steppe in pursuit of Taimen, Trout and Pike. This year’s trip marked the seventh WorldCast hosted trip to the Amur River Basin in Northeastern Mongolia and for the seventh year in a row, the group was treated to wonderful hospitality, beautiful scenery and best of all world class fly fishing! This year’s trip was hosted by WorldCast Head Guide Derek Hutton and made up of anglers from California, Alabama, Louisiana and Idaho. Most of the group had never been to Mongolia or pursued any of the species that inhabit the upper stretches of the Onon River. By the end of the trip, every angler had caught multiple Taimen with a total count of over 75 landed. John Rongey, a great friend of WorldCast Anglers, landed the largest of the trip which measured out to 42 inches! Most of the fish were in the mid-size range for Taimen (25-35 inches), which is a testament to the conservation efforts established on the Onon. The 200 mile stretch of the Onon fished by Mongolia River Outfitters is the world’s first Taimen Sanctuary, established over a decade ago. There is nothing we appreciate seeing more than a successful and sustainable conservation enterprise, especially with such a unique and special breed of fish such as the Taimen. What made this year’s trip particularly memorable was the variety of fish landed along with the Taimen. One of the reasons we love the Onon is the presence of Lenok Trout, Amur Trout and Amur Pike, which were all caught in great numbers and size throughout the trip. On the final day of the trip, Derek Hutton landed and 42.5 inch Amur Pike which is the biggest one we have seen on the Onon. Early October in Mongolia can be a volatile period for weather with anything being realistic from sunshine and 70 degree temperatures to below freezing and snowing. The weather wasfantastic this year with beautiful sunny days and temps in the 60’s. Not only was this an enjoyable atmosphere but it also presented some spectacular sight fishing in the low water conditions that were present on the Onon this fall. Sight fishing for predatory species like Taimen and Pike in the backcountry of Mongolia is an experience every fly fishermen should have. Next year we will be hosting our first summer trip to Mongolia on the Delger River in North-Central wilderness in pursuit of Taimen and Lenok trout primarily on dry flies including mouse and grasshopper patterns. Please contact us at 800-654-0676 if you are interested in this trip. ← WorldCast Anglers Fall Streamer Special!